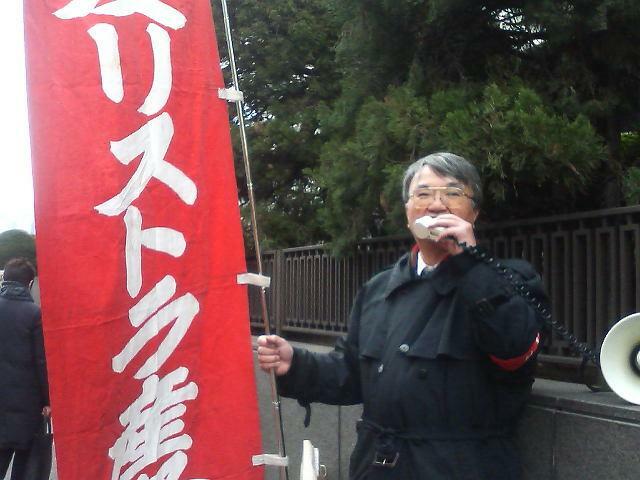 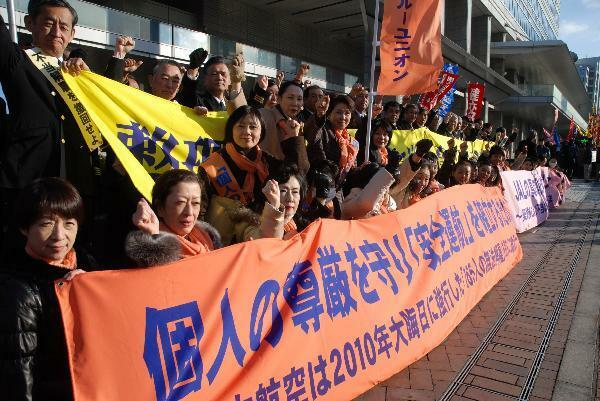 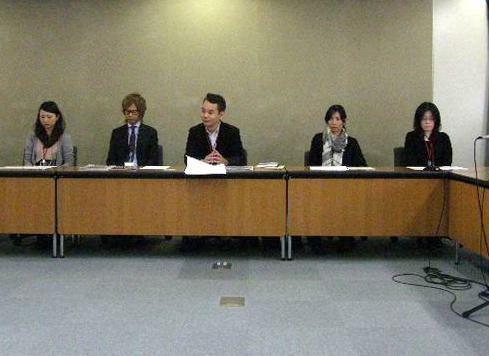 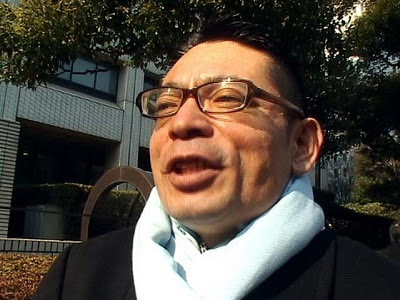 Tokyo High Court turned over the lower-court’s verdict on the singing of “Kimigayo” national anthem on Jan. 28. The lower court ruled on Sept. 21, 2006, that freedom of thought and conscience is granted to educators and there should be no obligation to sing the national anthem. 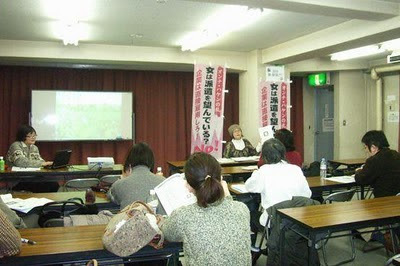 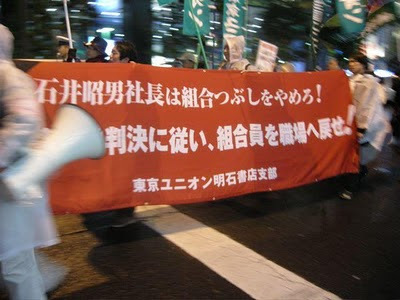 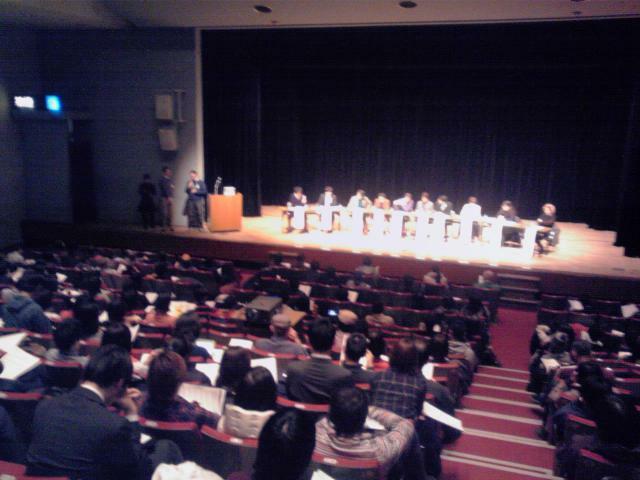 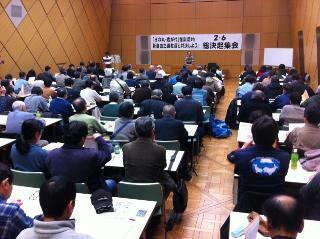 It also ruled that the coercion by the Tokyo Metropolitan education board was against constitution. It was a landmark verdict and encouraging to the teachers who tried to believe in their conscientiousness. 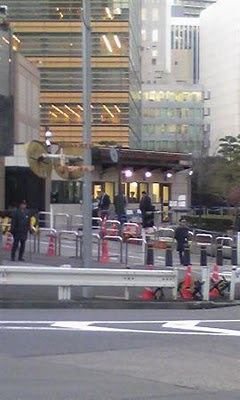 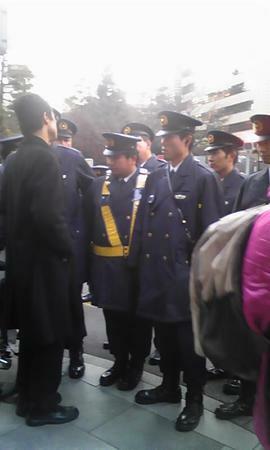 But the verdict at Tokyo High Court turned out miserable. 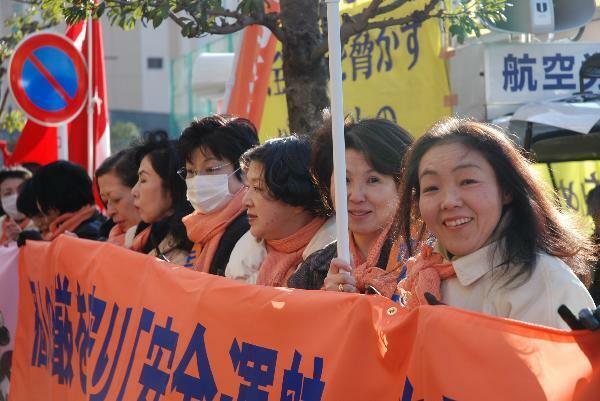 Expressions on the faces of about 200 plaintiffs and supporters stiffened when they heard the report in front of the court house. 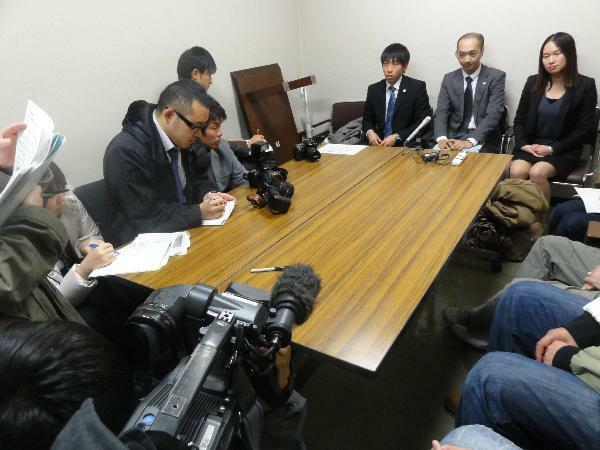 “The judge made the decision even before he considered our plea and claims. It was the worst verdict we could think of,” the head of the plaintiffs, Miyamura, said in a microphone. 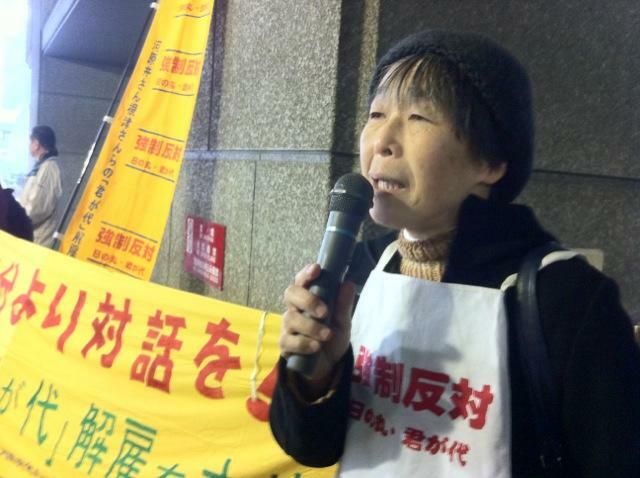 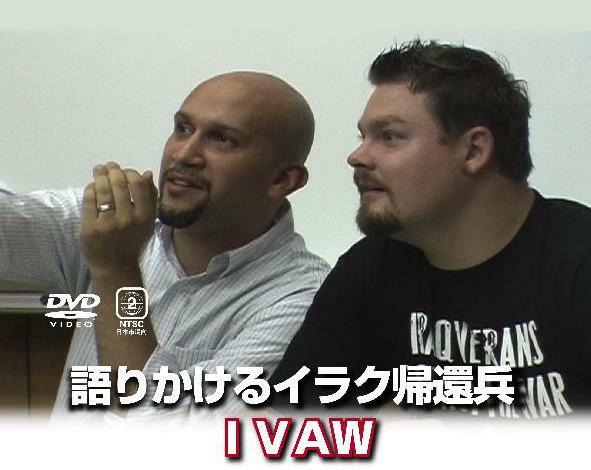 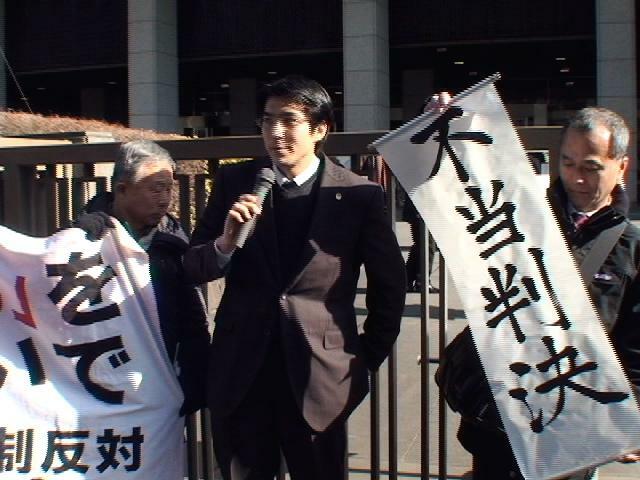 “The Japanese court is dead!” By M. See UnionTube *Photo: Lawyer (center) reporting a verdict to plaintiffs and supporters, and leading plaintiff, Miyamura (right). 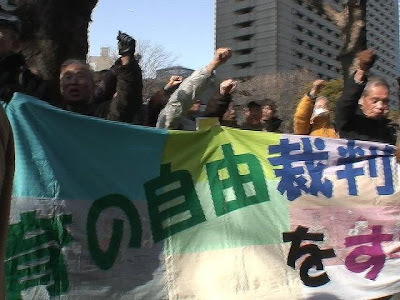 About 300 people gathered in front of Japan Airlines headquarters in Tokyo’s Tennozu Isle to protest against a mass layoff on Jan. 25 with more than 50 union flags raised. 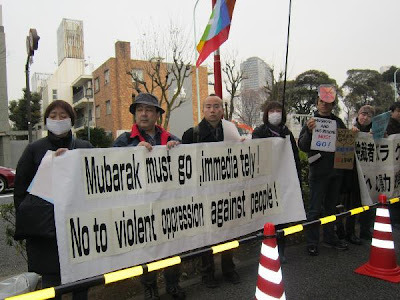 The United States Embassy in Tokyo refused to accept a protest letter on a helicopter plant in Takae, Okinawa prefecture, on Jan. 16. We told the people of the embassy on the phone that we are going in a group, and they told us that they would receive us even on weekend. So then, we went on Jan. 19 in a group of six during the day on a weekday when the embassy is open to hand protest letters from many of our brothers and sisters. “Most Evil Corporation of the Year” Award for 2010 – Nominations wanted!